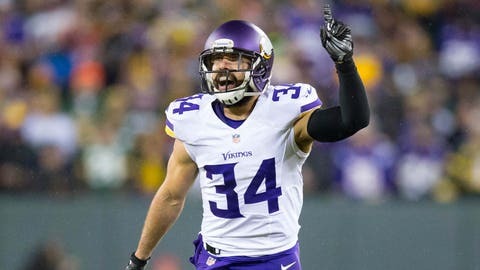 Minnesota Vikings safety Andrew Sendejo, sidelined since Week 5, will miss the rest of the season as the team placed him on injured reserve Tuesday. Sendejo suffered a groin injury in Minnesota’s win at Philadelphia on Oct. 7. He finishes the year with 27 tackles in five games. Last season he posted a career-high 80 tackles. Signed to a four-year contract in 2016, Sendejo has one year left on his deal. He is due to make $5.5 million in 2019, according to the website overthecap.com, but Minnesota can cut him before June 1 without suffering any dead money on its salary cap. Taking Sendejo’s place on the active roster is cornerback Craig James. An undrafted free agent out of Eastern Illinois, James was in training camp with Minnesota and has been on the team’s practice squad the past six weeks. In addition, former Minnesota Gophers cornerback Jaylen Myrick was signed to the Vikings’ practice squad.